IBM has made another acquisition to bolster its enterprise cloud offering in the shape of StrongLoop. 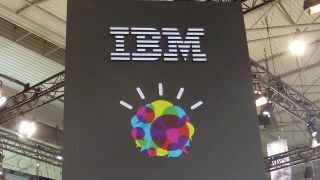 The deal, for which terms have not been disclosed, gives IBM a top player in the application developer software for enterprise sector and, in particular, it focuses on the popular open source programming language Node.js. What the technology does is provide enterprises with the chance to develop cloud based and mobile apps equipped with APIs that are able to handle huge streams of data whilst at the same stage possessing the ability to plug-in to other enterprise apps at the back end. Node.js is an incredibly popular framework to perform this task and it goes some way the helping enterprises handle the huge volumes of data that come with operating in markets focused on the internet of things, mobile and web applications. From StrongLoop's side of the deal, it has reiterated to the Node.js community that it expects to continue as it has done for some time except that becoming a part of IBM will give it increased resources with which to go about business on a daily basis. "With this acquisition, the industry benefits from Node.js' formal entry into the mainstream enterprise," said Juan Carlos Soto, CEO of StrongLoop. "As leaders in the Node.js open community, we plan to further advance open, community-driven innovation coupled with global, enterprise class software and services offerings to grow client value in the API economy." It will come as no surprise that StrongLoop is planning to increase its investment in the Node.js ecosystem at a faster rate than is currently the case. As a result of the deal, Node.js developers will be able to access IBM Bluemix as an operating environment and StrongLoop's tools will be combined together with IBM WebSphere and Java to give Node.js developers to best offering possible.